There are a lot of solid choices against 1.d4. They are reliable, have been around for hundreds of years and are played at the highest level all the time. 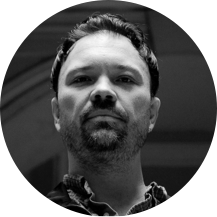 That’s, however one of the biggest problems with these openings; they are too well-studied and well-known even at the club level. Indeed, you can play the King’s Indian or Benoni but those are also frequently seen openings, meaning all your opponents will know them. It doesn’t sound very fun, does it? If you want to play a truly fighting opening, the one that your opponents aren’t well-prepared for The Blumenfeld Gambit is exactly what you need! It has been gaining popularity and if you understand the key plans and ideas, it will become your #1 weapon for black in no time! 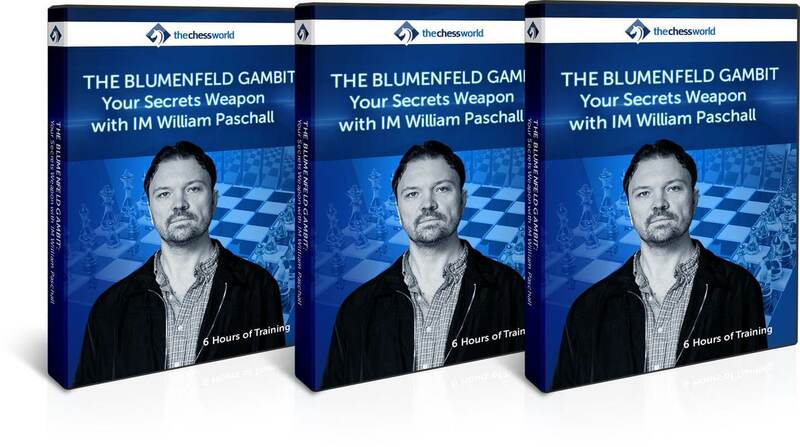 What is the Blumenfeld Gambit and why do you want to play it? 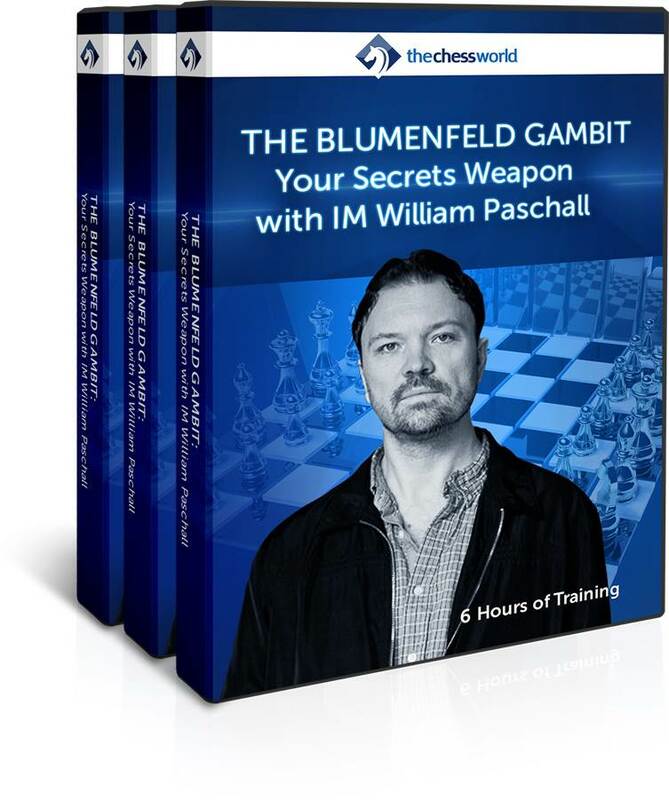 The Blumenfeld Gambit is a rich opening with a history spanning for over one hundred years. This "defense" is closely related to other openings which have been extremely popular in modern times, including the Benko Gambit and the sharp Benoni. What's in this course for you? With Blumenfeld Gambit, you will always be one step ahead of your competition. While your opponent stares at the board trying to figure out the next logical move, you will already know the winning sequence and correct plans, paired with flawless execution. You can just relax and enjoy the game... It is a much better position to be in! It not just takes the stress out of your game. This opening preparation gives you an instant confidence booster. In this 12-lesson video course, we are going to arm you with a very dynamic, yet solid opening system against 1.d4 setups. With the Blumenfeld Gambit, you will always be one step ahead of your competition. No fluff. Only concrete knowledge. Summary of the key points covered in each of the course's 12 chapters for quick reference and reviewing. Use it as a quick refresher after studying the course or print it and pin it on the wall. I watched most of the Paschall course. It’s fantastic - he’s a great teacher. More of him, please! I can’t wait till my next tournament to try the Blumenfeld! I finished watching the course this morning and tested out the gambit on 200+ pts higher rated guy. Result? I won in 27 moves. This is exactly what I've been needing before my winter tourneys! Thanks IM William Paschall. Only played few games online after watching 1/3. Already noticed the increase in quality of positions after the opening. Won few games here and there, will give it a go in our state championship! More power!! The only thing I feel bad about.. I didn't get this course 17 years earlier! Great presenter, great opening, thanks thechessworld and IM William.